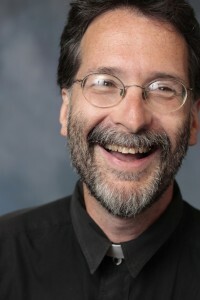 Brian Doyle is an essayist, author, and editor of Portland Magazine at the University of Portland – “the best spiritual magazine in the country,” according to Annie Dillard. He is the author of 13 books, among them the novel Mink River and the spiritual essay collections Grace Notes, Leaping, and Epiphanies & Elegies. His work has appeared in The Atlantic Monthly, Harper’s, Orion, The American Scholar, The Sun, and The New York Times, and his essays have been reprinted in the annual Best American Essays, Best American Science & Nature Writing, and Best American Spiritual Writing anthologies.to Annie Dillard. Portland Magazine is annually ranked among the ten best university magazines in America, and in 2005 won the Sibley Award from Newsweek magazine as the finest university magazine in the country. His greatest accomplishments are that a riveting woman said yup when he mumbled a marriage proposal, and that the Coherent Mercy then sent them three lanky snotty sneery testy sweet brilliant nutty muttering children in skin boats from the sea of the stars. All else pales.